Soils represent the largest carbon reservoir within terrestrial ecosystems. The capacity of soils to store organic carbon (OC) represents a key function of soils that is not only decisive for climate regulation but also affects other soil functions. Interaction of OC with soil mineral components, especially poorly-crystalline iron (Fe) phases, plays a critical role in aggregate structure, soil OC storage and stabilization, as well as biogeochemical cycling of other elements. Globally, ~600 Gt of soil carbon is retained by reactive Fe minerals, which is approximately one-quarter of the total soil organic C pool. Current knowledge indicates that minerals species and availability as well as mineral-organo interactions can be affected by human land use, microbial communities in soils, and changed environmental conditions (e.g., warming, elevated CO2, varying oxygen levels, fluctuating redox potentials). 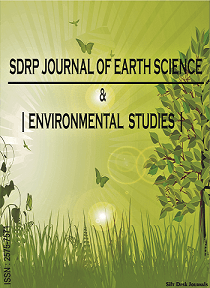 The aim of this Research Topic is to gather scientists who have common interests in carbon and mineral element cycling in soils from the global scale to nano scale. The range of disciplines may include: soil science, biogeoscience, agricultural science, ecology, climate science and geomicrobiology, etc. Articles can be original research, techniques, reviews, or synthesis papers. An overarching goal is to demonstrate the coupling carbon and mineral element cycles in soil, and foster understanding between different scientific communities who may not always be aware of one another’s work.